The internet is cluttered with innumerous web developers and companies that leaves us in a conundrum while hiring one. There are unfathomable options of web developers, agencies and companies on the internet but the problem is, we are unaware which one would be right for our project. And each one claiming, “We are the best!” further spikes the scepticism. And if you end up hiring the wrong one, you’re certainly DOOMED! But here’s a great news. There is a process that can help you identify and separate the developers that are worth hiring for your project. To be more specific – you’ll meet the developers you were looking for your entire life! Here’s another great news: You are going to learn that process in the next few minutes. Get a clear idea about the project. Ups and downs of hiring freelancer. 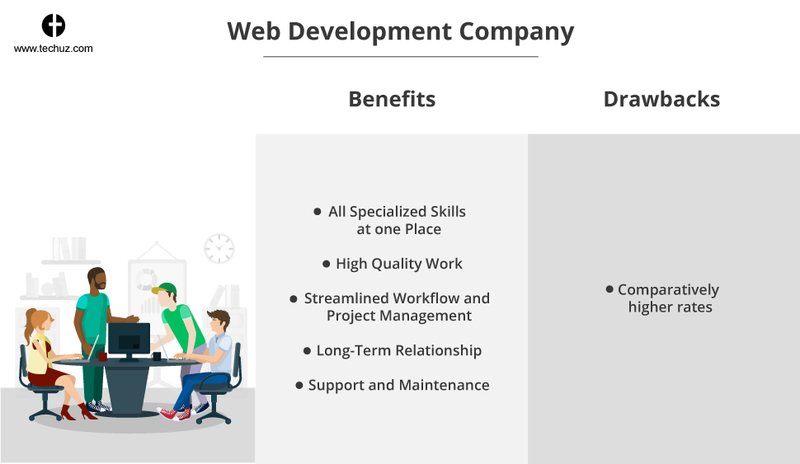 Who is a web development company? 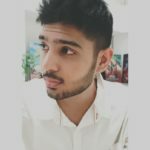 Ups and downs of hiring a web development company. I knew you will ask that! You intellectual internet reader. So, let’s start with that first. Why Hire Web Developers from India? One of the questions that are tagged along while hiring web developers is from which country or region should be they hired? And again there are a plethora of options as web developers are scattered all over the world. But hiring developers from India can be one of the best decision you would ever make. Average hourly rates in India ranges between $20-40 which is way more cost effective than prevailing rates in eastern and western Europe, Australia, Northern and Latin America and even other parts of Asia. Although there are some countries that work at even cheaper rates, it doesn’t guarantee the promising quality. That takes us to our next point. Indian developers follow high work ethic, providing the utmost quality service at a competitive price. No wonder why companies from the US, Europe, Central Asia and Australia prefer India as the ideal web development outsourcing destination. Here, you can read our full article on Benefits of Hiring Web Developers from India. In the past two decades, India has emerged as a flourishing market of IT industry. It is the fastest growing hub of myriad developers and established companies. In fact, it is renowned to have its own Silicon Valley – Bangalore. Many cities like Mumbai, Delhi, Pune, Hyderabad and Ahmedabad are emerging as home to IT startups and service providers. And when the founder of the largest technology company of the millennium lauds India’s IT talent, there must be certainly something exceptional. Still with me? Great! Because now we are diving into the best part of the article. Let’s understand how to hire web developers. So, now you know from which country you must hire web developers, you have the blueprint of your project in your head. Now what? The first step towards hiring web developers starts even before you begin fishing for the developers. And that is drafting your idea into a document. This process is called defining your project requirement and the document you draft is called application requirements document. While drafting the project requirements, you must ask yourself a few questions such as: What’s the purpose? What is the expected outcome? Who is the target audience? What resources will be required? Who are the competitors? What’s the time duration? What technology stack must be used? Whether you need entire end-to-end development or part of it? All of these will help you to get a clear picture of your project. Defining the project requirement is the cornerstone of any project and is considered the most essential step. This draft will not only help you to hire the correct developer but will also work as a roadmap for the developers to understand the project and provide accurate estimates of time, money and other resources. Understanding the scope of the project will also provide you a clearer idea about whether you need an individual freelancer for performing a specific task, i.e. designing or development or a company that caters end-to-end service, starting from design to deployment. We’ll discuss that in detail in the next point. Freelancer vs Web Development Company: Which is a Better Option? Freelancer or a web development company both work great in different situations. As every project is different, the requirements also vary and so does the choice of a freelancer or a company. A freelancer is a skilled self-employed individual who generally works independently with his/her own clients or contractor. Freelancers are considered as a great choice for small tasks or just a chunk of the project. Most of the individuals are proficient in a particular skill, so you may need to hire different freelancers for varied tasks, i.e. graphic designer, web UI/UX designer, frontend developer and backend developer. Usually, freelancers charge cheaper rates than the web development companies except for some highly skilled ones. These freelancers can be a great option if you are looking to hire someone to work on a small task. 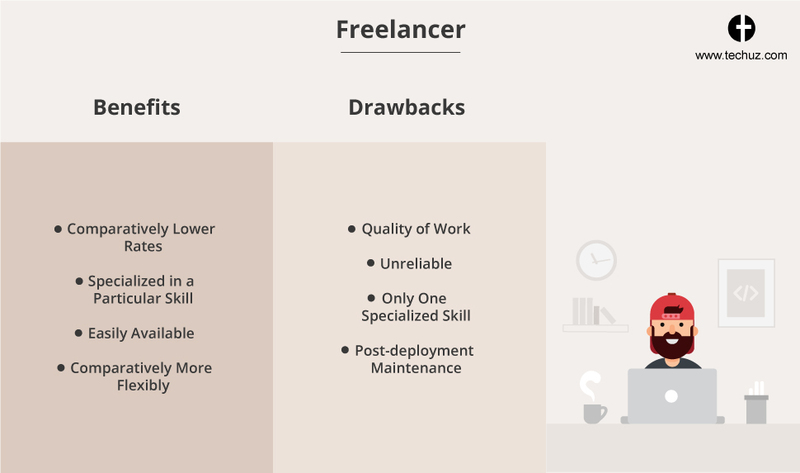 Majority of the freelancers are proficient in a particular area. They usually strive to get better in that specific skill only. This helps you to get specialized knowledge of the freelancer for your specific task as they have always been working on similar projects. In order to gauge their proficiency, you must check their portfolios and work on Behance, Dribbble, GitHub and GitLab. There are numerous freelancers available on various freelancing platforms such as UpWork, Freelancer, Elance, HubStaff etc. You can easily find and hire the freelancers via these platforms according to your needs and budget. Most of the freelancers are more flexible as they are not bound by any office hours and can work from anywhere. Thus, by working on their own schedule they can provide you with more flexibility and even work day and night to cater you service faster. It is a harsh truth that most of the freelancers are bound to provide inferior quality as they tend to take a large number of projects. Also, some of the freelancers consider it as a one-time job. As the result, providing quality service and retaining the client is not what they long for. Moreover, there are no QAs to check the work done. Freelancers are considered to be less reliable than companies. They may cater you the good work if working only one project. However, be prepared to face unnecessary delays or even abandonment of the project if they are working on varied projects simultaneously. Although specialization in one skill is one of the plus points, it also serves as a downside. Since freelancers work individually and are proficient with one skill, you are left out to hire new freelancers for different tasks of the project. This sometimes may create an issue in managing and organizing the workflow. The project does not end once it is delivered to you as there may be necessary maintenance services needed post-deployment. But, most of the freelancers do not provide it. They Leave once the project is developed from their side. Thus, you may need to hire a new one for the maintenance or fixing the bugs. A web development company is an all in one package providing you with everything you need to make your idea a reality. The company consists of a passionate team of skilled graphics designers, web designers, developers (frontend and backend), consultants, copy-writers, QAs, project managers and more that makes it an ideal choice for large projects and startups. Hiring a web development company provides all the specialized skills at your disposal in one place. You need not have to find different freelancers for different tasks. Hiring a web development company will provide you with graphic designers, web designers, developers, QAs and more. Web development companies guarantee the quality of work. Many companies follow the best coding practice and won’t provide spaghetti codes as it could affect their goodwill in the market. Apart from that, your application passes through meticulous tests by QAs. This ensures that your application is bug-free. Most of the development companies work in an organized hierarchical structure that helps smooth project management. Each project has assigned designers and developers that report to the project manager who supervises and connects with the client. These companies also work according to methodologies such as Agile, Waterfall, Lean, etc. that are proven to provide maximum results. Any organization that invest in the resources and infrastructure aims to stay long in the market. And web development companies are no different. They prefer to create a business entity that clients can trust. Thus they focus on quality rather than quantity. They build trust and relationship with clients that helps them to get more business in the long run. Providing post-deployment maintenance support is the part of forging a long term relation. Web development companies provide maintenance, bug fixes and even regular updates post-deployment, whenever the client needs. Thus, in case you want to update your web application or add some new features, you need not have to look for new developers. 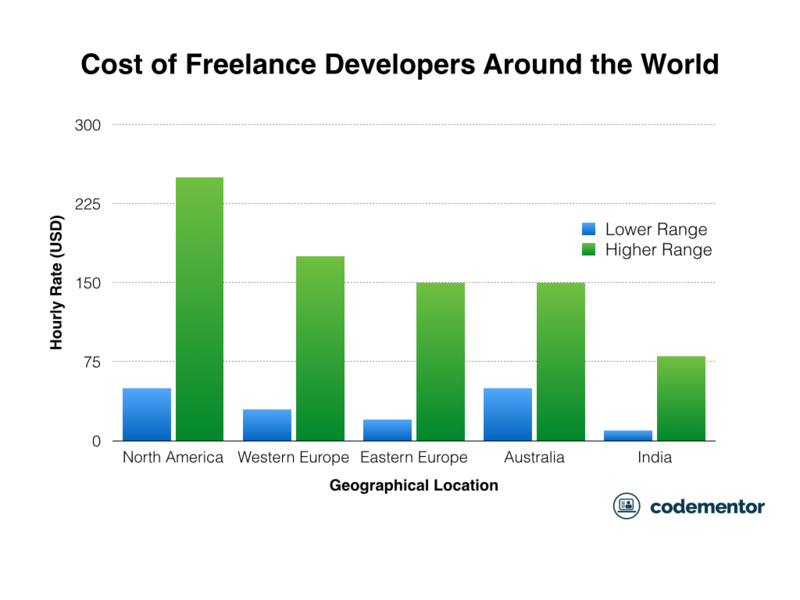 Typically, companies charge higher rates than most of the freelancers. And this is the disadvantage if you are looking to get work done at cheaper rates. As companies have several fixed and variable expenses, they charge comparatively more than the freelancers. Although the trend around the world says so, web development companies in India are famous for serving the utmost quality at cost-effective rates. So, now you are aware of the ups and downs of both freelancers and companies. The rule of thumb is understanding your needs while hiring. Hiring a web development company will work best for large projects while for small tasks and an extremely low budget, freelancers are a fantastic choice. 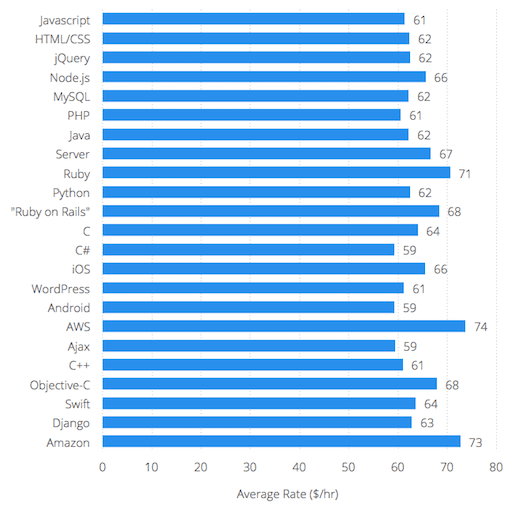 Proficiency in technologies is the primary barometer to gauge the web developer. If the developer isn‘t skilled enough with the basic programming languages or the tools and technologies your project needs, it’s always better to explore other options. Here are some of the technical skills you must look for in the developer depending on your project needs. Graphic Design – Proficiency in wireframing, prototyping, mockups and software like Adobe Illustrator & Adobe PhotoShop for designs. Suggested Read – Wireframe vs Prototype – Which One is Perfect for your Application? Frontend Web Design – Well versed with HTML/HTML5, CSS/CSS3 and JQuery. Portfolios are a great way to evaluate developer’s quality of work, past experience, strengths and weakness. Most of the web development companies with strong work experience showcase their portfolio on website. In the case of freelancers, you can ask them to show their past projects. If you are hiring a designer, websites like Dribbble and Behance can help you to know the ability and skill of the designer. Most of the creative and passionate designers have an amazing portfolio on these sites. Job portals and rating sites such as Upwork and Clutch are a great way to know the past client’s experience with the developers. You get the genuine feedbacks and comments of the customer about different web developers thus helping you choose the right developers. Experience is something that makes a good developer, a great developer. They may charge higher rates but they will provide you with the work that will make a fortune. While on the other hand, beginners may charge cheaper price but might create issues such as delays and less efficiency. That’s the reason we recommend you to hire experienced developers who have been working for years and tackled similar situations. Thus, an experienced developer can provide the high quality, minimum error and deliver the project in minimum time. 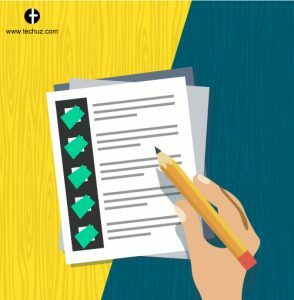 Once you have boiled down the large list of candidates to a few able ones, an interview and a sample task will help you select the best fitting one for your project. Providing the candidates with a small sample task allows you to witness their skills and proficiency. In order to evaluate their coding skills in real time, tools like Skype Interview and CodePen are highly useful. These tools provide in-browser code editor that in which you can run and check the codes in real-time. Providing sample task not only helps you to evaluate their technical skills but also their communication, soft skills and work ethics. You’ll be talking with them a lot throughout the projects, so how well they are able to communicate will be vital for a smooth management. Make sure they are able to communicate clearly, understand your instructions. Check how prompt are they in replying to your emails and messages, how easily are the available for a chat, etc. Usually, you can get an idea of their communication and soft skills when you provide them with the sample task. Many of the people still dread outsourcing the work. The reason? They are sceptical about the authenticity. 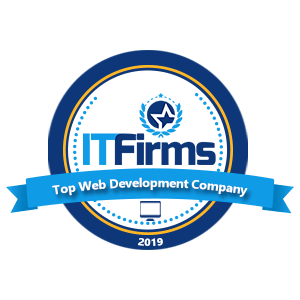 Although the internet presence of the web development companies is one of the best measures to gauge their genuine, you can visit the company personally. And if you are providing them with a large project, it is a must! 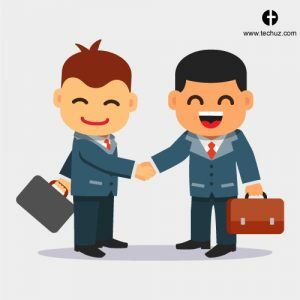 Even at Techuz, many of our clients who have to offer huge projects are more likely to visit us at our office. And we love it when our clients visit to meet our team! Hiring a company that has a strong expertise in the same genre and is seasoned in developing similar applications can make things thousand fold easier for you. Many companies in the market have specialized knowledge and experience in developing a certain type of applications such as eCommerce websites, marketplace, on-demand apps, educational app etc. You must check the developer’s niche and expertise in the same. Have they delivered projects similar to yours? How have they implemented the necessary features? For instance, if you need a video chat webinar feature in your marketplace application where tutors and students interact, you must ask have they implemented similar features in past? If not, are they proficiencies enough to use technologies like WebRTC to perform it? This ensures that the web developers you hire have hands-on experience or at least knowledge of your project. Ah, pricing…One of the most important factors, at least for most of the people out there. And why shouldn’t it be, after all, you are spending the hard earned money in your project! Generally, the pricing is decided on the basis of the technology used, experience as well as skills of the developers. Experienced and skilled ones tend to charge high. We recommend you not to compromise on the skills and expertise for a lower price. A bit higher price comes with a better result, project delivery on time and without any errors. Moreover, the charges can be either fixed or based on hourly rate which depends on the scope of the project. Usually, hourly rates are better when you need flexibility and have a long-term project while fixed rates are ideal when you have a fixed budget and scope of the project is clearly defined. 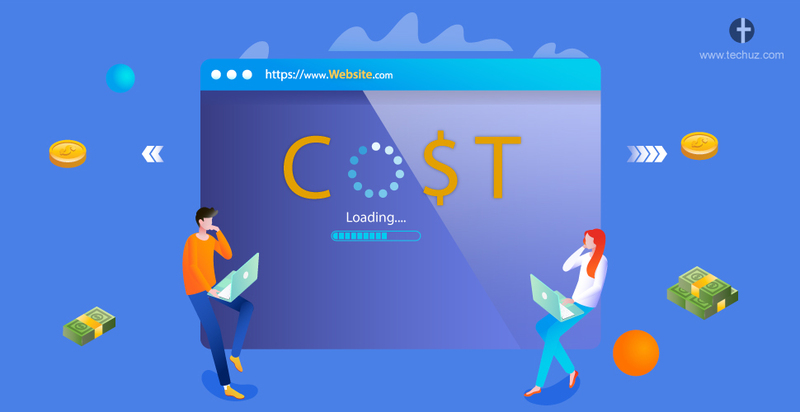 Suggested Read – How Much Does it Cost to Develop a Web Application? Company’s website can tell you a lot about the company and its developers. Don’t believe me? Just check the websites of the high-rated and renowned web development companies. You’ll smell passion for work, you’ll observe the high level of proficiency, skills and creativity. Those are the type of web development companies that can take your project to a next level. On the other hand, if a company cannot pour blood sweat and tears to make their own website unique, how can you expect them to go an extra mile for your project’s success? Furthermost, a company’s website gives you an idea of the company’s culture, work ethics, team members, their past project, their clients and the recognition they have earned. So, you have checked the review and rating sites, company’s website, portfolio and past experience but feel you can’t rely on theses virtual database? Then you must go old school – word of mouth. Word of mouth is one of the most reliable measures to know more about the web development company you hire. You can ask the company for local referrals, the local clients in your city or region that they have delivered services. This will let you know the client’s experience with the developers and the issues they faced while working with the project. However, you must consider all other factors mentioned above along with the local referrals as a developer won’t be providing you with the referrals with a bad experience. #12. What Tools do they Use? Web development is a long and tedious process. Thanks to various tools that make the process quicker and even more efficient. Whether it be communication or project management or even testing, these tools can make a whole world of difference for your project. 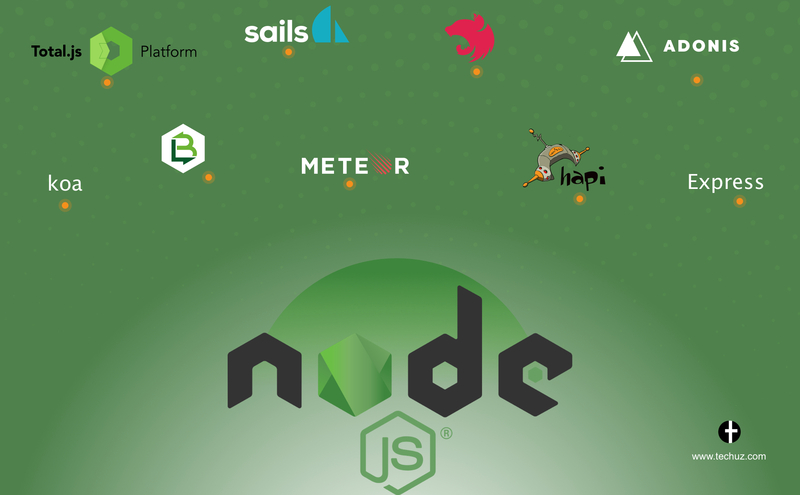 In short, proficiency in these tools can help the developers built better products. You must ask what tools do they use for development, deployment, testing and project management. Are these tools complying with the industry standard and fit your project? Here are some of the tools that we use at Techuz. Project Management tools – Jira, Trello, Slack and TeamWork. If you are a technical person and would like to dive more deep to know your developers, nothing would work better than reviewing their past project codes. Reviewing the codes can help you to evaluate the developers’ proficiency and the way they write the codes. There are two types of developers. One who just get the work done while others not only focus on the outcome but also the way they write codes. The latter ones are always preferable because these codes are more clean and scalable. When you review the codes, check if the codes are clean or jumbled? If they follow any coding pattern such as Behavior Driven Development (BDD) or Test-Driven Development (TDD), have they followed the necessary guidelines? Thus reviewing the codes will make sure you are hiring someone who is really a master in his/her domain. Finding web developers over the internet has been made easier in recent times but hiring quality web developers have become equally difficult as there are too many of them. But not for you! Because now you have learned how to hire the right developers that are well suited for your project needs and can sail your project to the shores of success. See, hiring web developers was not that hard, they are in front of you (literary), you just needed the right process to hire and now you have it. Thanks for reading!